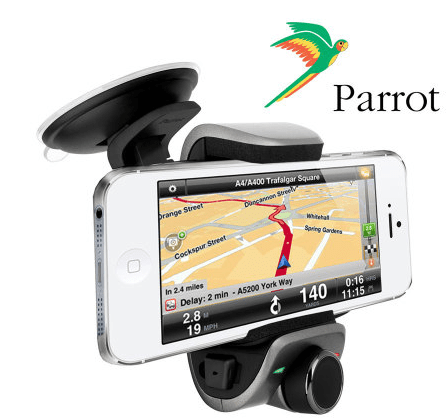 When it comes to Bluetooth kits for cars, Parrot have been in the market for a very long time. So, when we spotted the Minikit at a great deal on MobileFun (http://www.mobilefun.co.uk/parrot-minikit-smart-p26736.htm) we had to try it. It serves a few purposes, but mainly this is a handsfree kit for your mobile phone, which pairs to your phone using Bluetooth. Along with that, it can hold your phone, take orders from you, read out your phonebook, and charge your device. So, first of all, how well does it work as a handsfree device? This is by far one of the best devices I have tried. 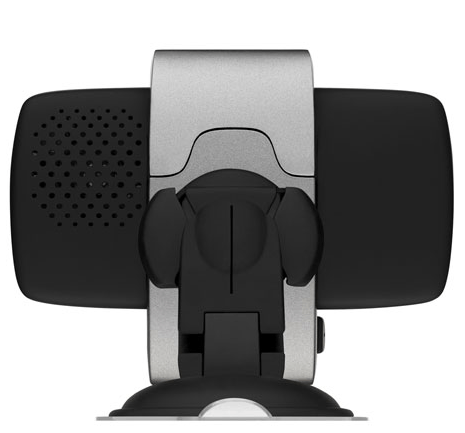 The 2W speakers are very powerful, and I do wonder if they would have been even better if they were facing forward. However, lack of room means that would not have been very practical. It pairs to your phone and works via Bluetooth. Pairing is a simple process, though you do need to enter the code ‘0000’ on pairing. Once paired, it will synchronize with your phone’s contact list. This means that it can announce who is calling when it gets a call, and also takes voice commands from you. The call quality in the car was surprisingly good, and the microphone worked well. This actually has the ability to let you drag the microphone out and clip it at a point near you. However, I found that the microphone length wasn’t quite as long as I wanted, if, like they suggest, I clip it to my visor. However, it is a good touch. I did not really need to drag the microphone closer to me, but if you had a lot of people talking, it may prove to be useful. The problem with having more features is that the more you have to do, the harder it gets to operate. Parrot have found a good way around this, and the three button interface works quite well. When receiving a call, the green button answers a call, while the red one cancels it. The big knob on the centre acts both as a Menu button, and a dial to move up and down in menus, or up and down in volume during a call. Going away from convention though, to redial you need to press and hold the green button for 2 seconds, rather than the usual double click method. To make a call, press the green button, and say the name of whoever you want to call. The voice recognition on this worked quite well. If names are too long, or descriptions in your phonebook are vague, you can even record voice tags. While it takes a little getting used to, the UI is still fairly intuitive, and works well once you get used to it. Also, all Parrot devices use the same UI, so it works well in that regard too. As already mentioned, the speaker on the back was quite impressive, as was the microphone at picking up my voice. 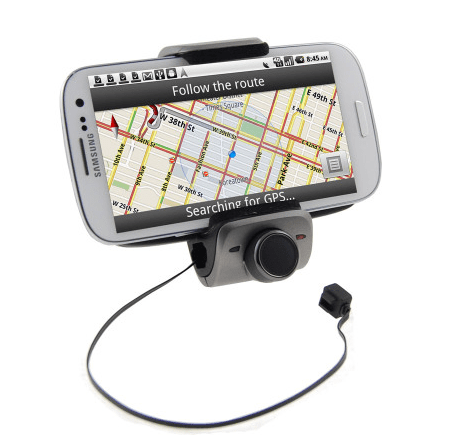 The device comes with a suction mount, so you can mount it in front of the drive in the car. Between the mount, and the Parrot is their own clip in method, and I found that a hard tug on this actually removes the device. This happened once where the USB cable to the Parrot (charging) got tangled in my foot, and the device fell down with it. This is another bit where this could improve a little, and is probably slightly behind the curve. I tried it with a Galaxy S4, and while that is not the biggest device out there, it is one of the bigger ones. It fits, without a case, but it is a tight fit. You have a nice cushioning though, so do not worry about the tight fit damaging your phone. I was hoping this would also hold something like my Tomtom, but that didn’t quite work. Other than that, it also charges your phone, as it has a USB out on the side. This allows you to charge your phone while it is mounted in the holder. The device is powered by a 1A out USB, so do not expect it to work wonders, but a 1A out is pretty decent for a car charger. Ability to store your synchronize your contacts, and then call them via Voice commands, or by scrolling through a menu. Call different numbers for the same contact, e.g. work, home, cell, etc. Update software on the device via USB. More information on Parrot’s website. While generally it retails for a higher price, as of now it is going for £44.99. I like a device with extra features, and this definitely packs them in. While certain improvements could be made, there is nothing in there that I find alarming. This has replaced the old handsfree kit I had in my car, and is now the Bluetooth kit of my choice.